This skin vitalizing essence is exclusively available at Wynn Beauty & Health. Ideal for on-the-go use and perfect for all skin types and ages, this multi-functional essence for your skin and giving you a radiant and rejuvenated look! 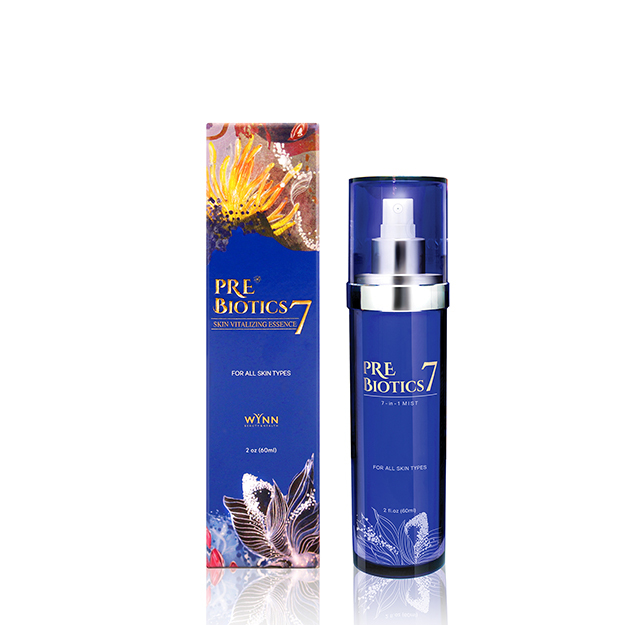 Prebiotics 7 contains Prebiotic and ALL- NATURAL ingredient. Nutricosmetics– Contains TMC-P ingredient, which absorb into Skin instantly to energize your skin. 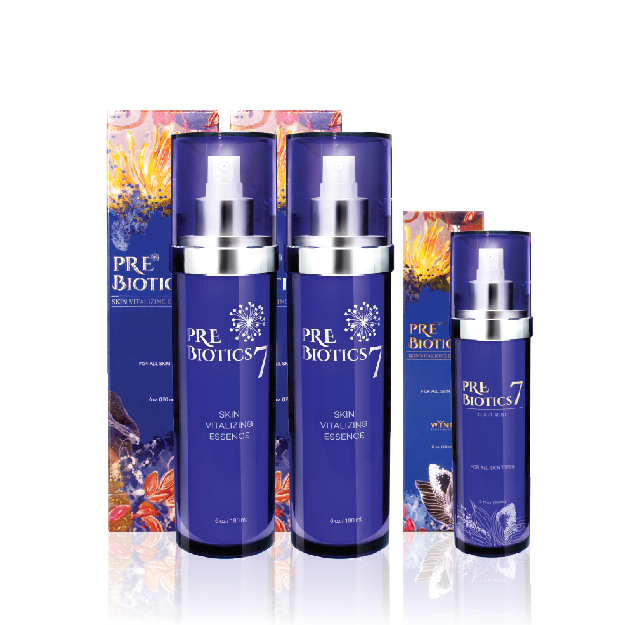 By using Prebiotics7, healthy cell growth is promoted topically by restoring the natural balance of good bacteria which in turn slows down the degradation of good cells. Spray essence that boosts soothing hydration, resulting in dewy, luminous skin anytime, anywhere. Multi-function that reduces the look of multiple signs of skin. 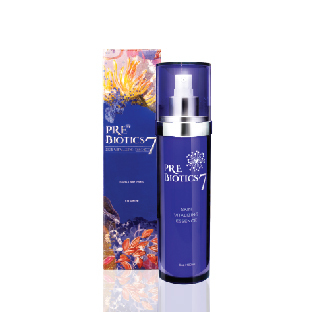 Revitalizing that activates the balance the moisture of your skin. Water (aqua), Propanediol, Glycerin, Yeast Glucan, Lonicera Caprifolium (Honeysuckle), Flower Extract, Ruscus Aculeatus Root Extract, Panax Ginseng Root Extract, Hamamelis Virginiana (Witch Hazel) Extract, Vitis Vinifera (Grape) Callus Culture Extract, Hydrolyzed Collagen, Pre-Biotic- TMC- P, Niacinamide, Adenosine Triphosphate, Hydrolyzed Oat Protein, Sorbitol, Lecithin Caprylyl Glycol, Phenoxyethanol, Fragrance Polysorbate 20, Butylene Glycol, Carbomer Acetyl Hexapeptide-8, Palmitoyl Oligopeptide Palmitoyl Tetrapeptide-7, Xanthan Gum. Spray face and neck areas multiple times to cover desired surface. Use every day and night for best results. Let the essence dry naturally. If skin irritation occurs, discontinue use and consult your doctor. Do not spray inside mouth. If skin irritation occurs, cease use and consult your doctor.